Inflammation is one of the trickiest health topics to discuss with customers, but also one of the most important. Get the latest from Natural Foods Merchandiser and Sabinsa. 6 tips for helping customers manage inflammation, including diet, supplements and in-store education tools. 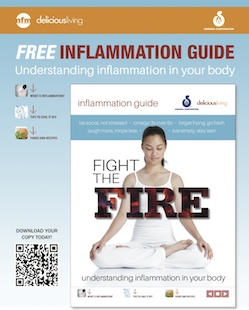 Shelf talker to connect customers with our free education guide on all things inflammation-related.